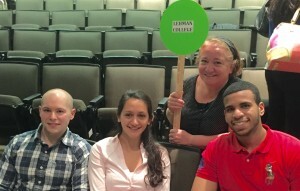 Andrew Alto, Saba Nasserzadeh, and Osvaldo Gonzales with Prof. Gul Tiryaki Sonmez at the ACSM Greater New York Regional Chapter spring meeting. 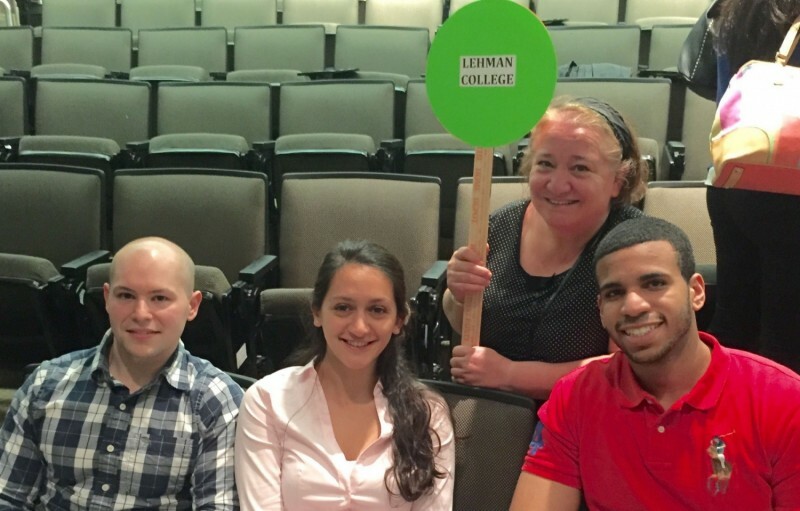 Lehman College students took third place in the Student Quiz Bowl at the American College of Sports Medicine’s Greater New York Regional Chapter spring conference earlier this month. Andrew Alto, Saba Nasserzadeh, and Osvaldo Gonzalez are all honors students in the exercise science program. Professor Gul Tiryaki Sonmez, who accompanied the three, says it was the first time Lehman had been invited to the event. “I think they did very well considering that this was the first time they had competed in such an event. I am so proud of them,” she gushed. In total there were seven schools in attendance: Lehman College, Long Island University, Queens College, Mercy College, Manhattan College, Rutgers University , and Sacred Heart University. The conference brings together exercise and nutrition experts from the discipline to discuss current trends and research. The question that the Lehman team failed to answer: who was one of the major contributors to the exercise science field and also introduced the concept known as “contrology”? Answer: Joseph Pilates. Prof. Tiryaki Sonmez maintains it was a trick question.